Continual reductions in component sizes make the depanelling of flexible circuits, Kapton and films in general a more and more complex task. 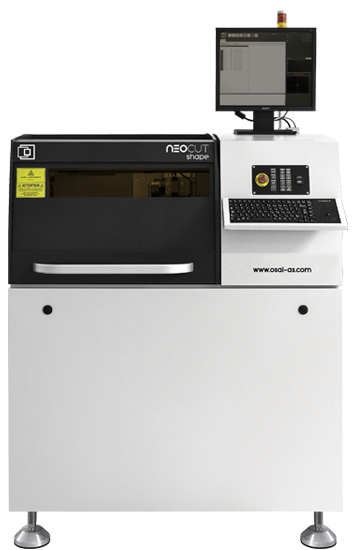 Neocut uv performs very high accuracy cutting operations, without mechanical stresses on components. As well as supplying an exceptional solution in depanelling Kapton and flexible PCBs, the Neocut uv system carries out marking of printed circuits and plastic surfaces. Easy programming that can also be carried out off-line enables the Neocut uv system to be used both for preproduction and for mass production.